Kugti Pass is the highest altitude pass in the Pir- Panjal range, an interesting and adventurous trek of 5-6 days over one of the tough but not the most difficult. 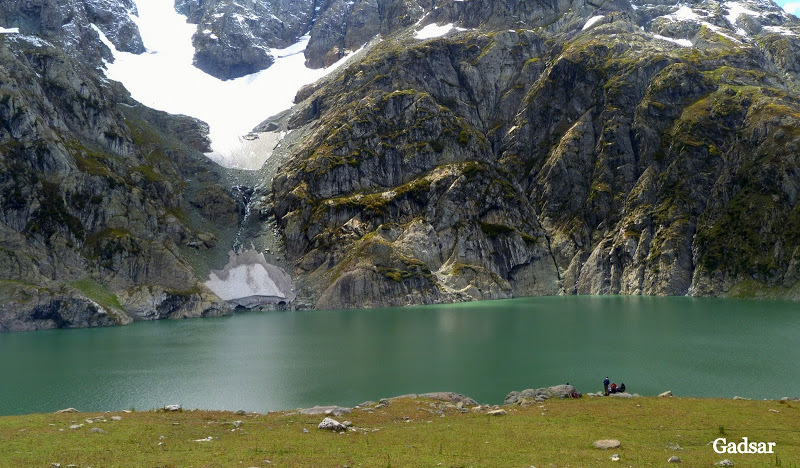 In this track, tracker can view the beauty of Pir- Panjal It is virtually unexplored – and perhaps that is its beauty – one of the unknown treks of India, yet marked with all the grandness of any great Himalayan trek. If you love trekking, then the Kugti Pass is a trek that needs to be a priority in your treks for the future. 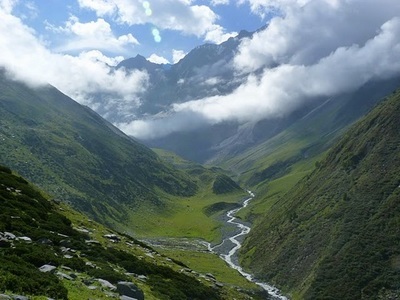 The Kugti pass trek is rare and remote – On the lower trails the trek winds through acres of apple orchards, pine forests and over miles of green meadows. Water falls are everywhere. Camp sites spring out next to streams and green grass. On the higher slopes, the trail weaves through snow fields, glaciers and ice falls. The thrill of high altitude is intoxicating. 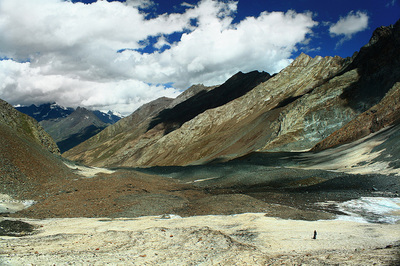 The Kugti Pass trek climbs to 16,600 feet and many sections are rigorous. 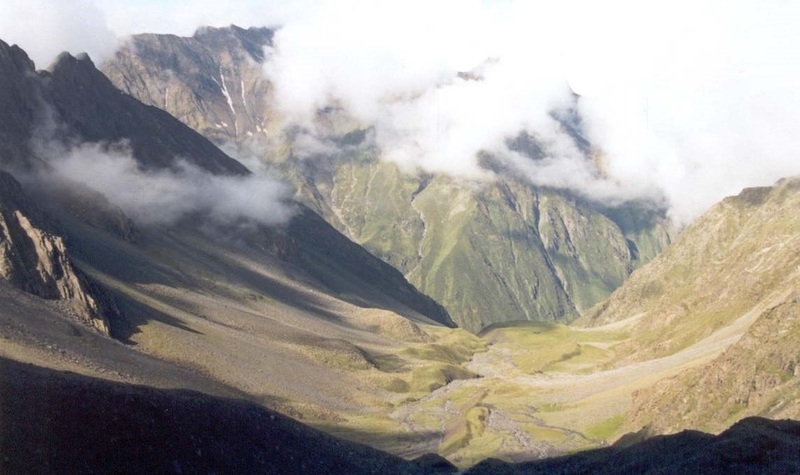 For those who are beginners to high altitude trekking, this can be daunting. 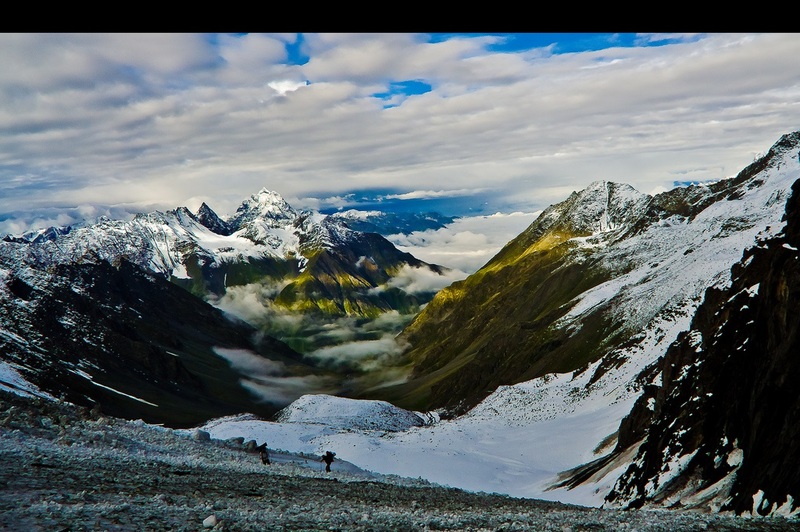 Kugti Pass trek takes you on a joyous and eventful trip through pristine glaciers and gushing streams, and it lets you enjoy scenic views of nature at its best. The excursion officially starts from Bharmour village, situated in the district of Chamba. On arrival here, check-in at the hotel and in the evening, visit the famous Chaurasi Temple – named after the 84 shrines in the complex. After dinner and overnight stay at the hotel, leave for Kugti village in the morning. Take a taxi to Hadsar village, from where the trek to Kugti Pass begins. Day 1 - Hadsar - Kugti Village- After sightseeing in Bharmour, we reach Hadsar which is 13 kilometers from Bharmour and also the starting point for Manimahesh Pilgrimage. We start our trek from here on a well defined trail with ups and downs on the left of Kugti Nallah (Stream) to a point where the stream is crossed on a wooden bridge and then winds up to Dharol. There are some provision shops here. Kugti is the last village of Chamba on way to Lahaul. 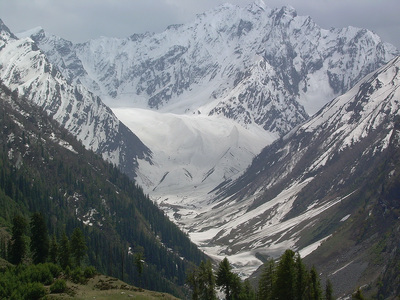 There are two thickly populated villages, upper Kugti and lower Kugti. The villages are thickly populated with provision shops, a dispensary and a school. There is also a forest guest house of which booking can be done from Bharmour. We camp here tonight. Today will be a 13 kilometer stretch on an identifiable trek. From Kugti the trail leads to famous Kelang Wajir or Karthik Swamy Temple, five kilometer ahead of Kugti Village. It's an easy trek with steep climb towards the end. There is also a guest house available on way. Trail climbs moderately through green pastures along a water stream. We would attempt to cross the stream before noon where water levels are low. After a climb there is a beautiful campsite with water and wood availability and an overhang cave shelter that can accomodate many people. We camp here tonight. This is a well defined trek that traverses sloping pastures and involves steady climb along the water stream. 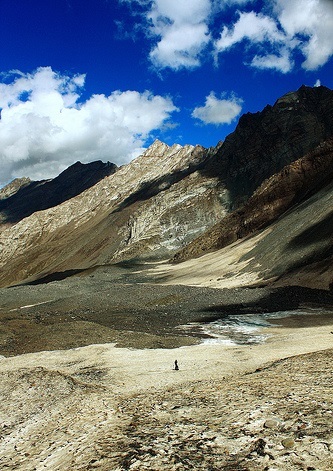 The campsite Alyas is 13 kilometers from Duggi and is a good campsite and is mostly frequented by Gaddi Shepherds passing over to Lahaul or coming back. We camp here tonight. 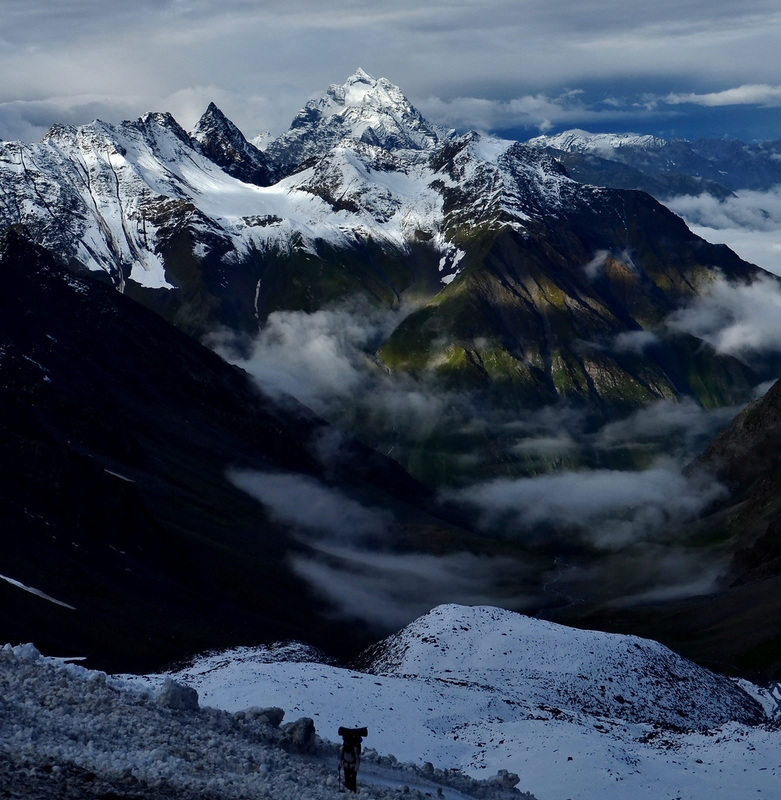 Today we have to start early at 4 am after breakfast as it will be a steep ascent to the pass mostly over snow. The weather deteriorates all of a sudden and temperature drops sharply. At times thick fog reduces visibility and it becomes difficult to locate the trail. 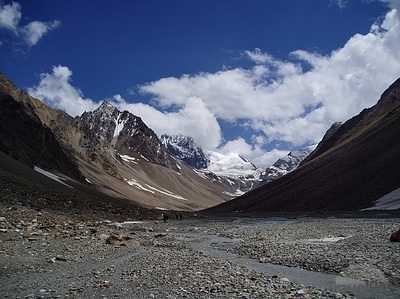 The climb is steep and risky with shooting stones while ascending along a river stream, After reaching a flat moraine after a few hours of climbing walk on snow begins which then heads up to a difficult last stretch. 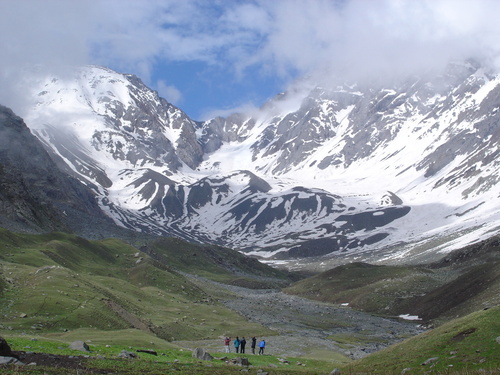 Depending on month of trekking, the trekkers may need to walk on hard snow or Ice. Ice Axe and Crampons would be very useful here. The five kilometer climb usually takes longer than 6 hours. Although its worth the effort once we reach at the top as a small temple, prayer flags and tridents await us with mesmerising views of the surrounding snow-covered mountains, distant Himalayan ranges and Mount Manimahesh Kailash. The descent from the pass is no less tiring as one has to tread on snow for quite some time on this side too. Steep slope is to be negotiated for 4 kilometers before it becomes easier. We do not descend straight down after crossing the pass but take a detour on the left and then a gentle curve downward to avoid crevasses. The trail winds down to a temple and a camping site where Gaddis stay for many days. We camp here tonight. The trek from here is comparitively easier and follows a water stream which flows through Rappe Village. 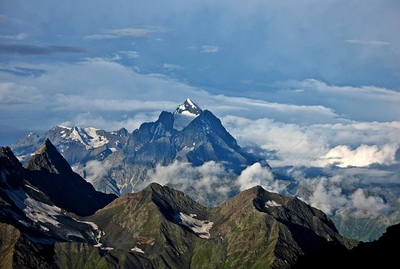 Rappe provides open views of Pattan Valley of Lahaul famous for green peas, seed potatoes and hops. We rest here enjoy the views as our taxis are waiting for us to take us to our hotels in Keylong with blissful memories. Click here to know whats included in your package and what to pack along?